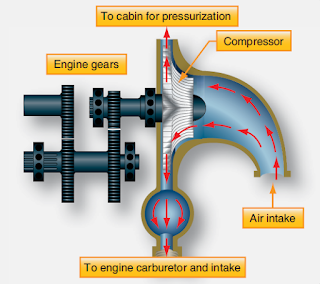 The source of air to pressurize an aircraft varies mainly with engine type. Reciprocating aircraft have pressurization sources different from those of turbine-powered aircraft. Note that the compression of air raises its temperature. A means for keeping pressurization air cool enough is built into most pressurization systems. It may be in the form of a heat exchanger, using cold ambient air to modify the temperature of the air from the pressurization source. A full air cycle air conditioning system with expansion turbine may also be used. The latter provides the advantage of temperature control on the ground and at low altitudes where ambient air temperature may be higher than comfortable for the passengers and crew. 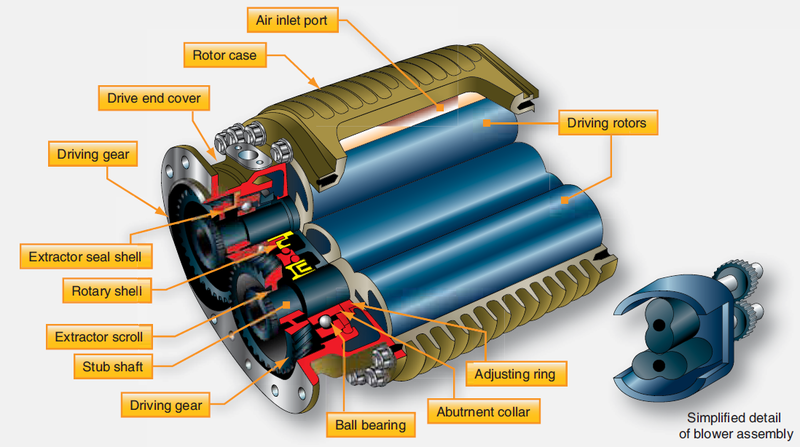 There are three typical sources of air used to pressurize reciprocating aircraft: supercharger, turbocharger, and engine-driven compressor. 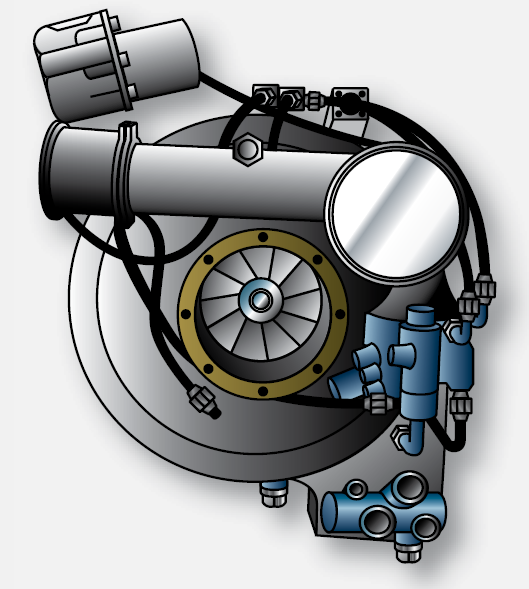 Superchargers and turbochargers are installed on reciprocating engines to permit better performance at high altitude by increasing the quantity and pressure of the air in the induction system. Some of the air produced by each of these can be routed into the cabin to pressurize it. Figure 4. 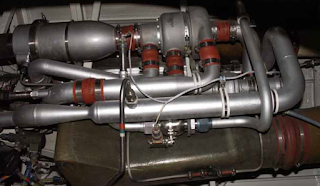 A turbocharger installation on a reciprocating aircraft engine (top left side). Both superchargers and turbochargers are oil lubricated. The supercharger is part of the fuel intake system and the turbocharger is part of the exhaust system. As such, there is a risk of contamination of cabin air from oil, fuel, or exhaust fumes should a malfunction occur, a shortcoming of these pressurization sources. A third source of air for pressurizing the cabin in reciprocating aircraft is an engine driven compressor. Either belt driven or gear driven by the accessory drive, an independent, dedicated compressor for pressurization avoids some of the potential contamination issues of superchargers and turbochargers. The compressor device does, however, add significant weight. It also consumes engine output since it is engine driven. 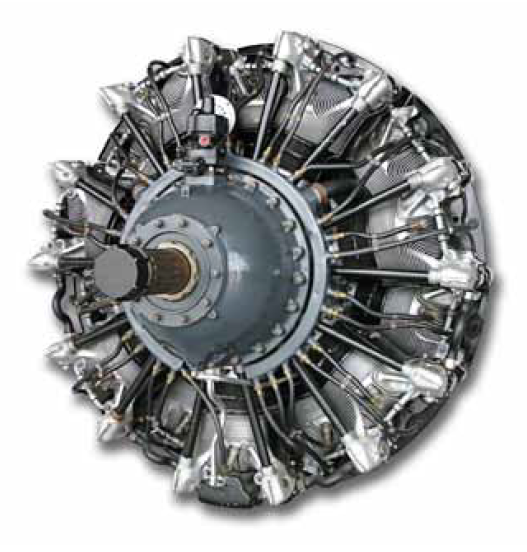 The roots blower is used on older, large reciprocating engine aircraft. [Figure 5] The two lobes in this compressor do not touch each other or the compressor housing. As they rotate, air enters the space between the lobes and is compressed and delivered to the cabin for pressurization. 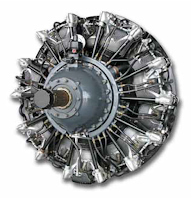 Independent engine-driven centrifugal compressors can also be found on reciprocating engine aircraft. [Figure 6] A variable ratio gear drive system is used to maintain a constant rate of airflow during changes of engine rpm. Near maximum operating altitude, the performance of any reciprocating engine and the pressurization compressor suffer. This is due to the reduced pressure of the air at altitude that supplies the intake of each. The result is difficulty in maintaining a sufficient volume of air to the engine intake to produce power, as well as to allow enough air to the fuselage for pressurization. 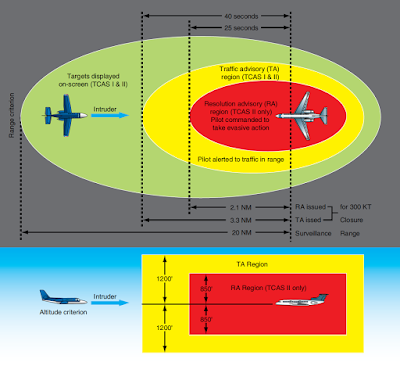 These are the limiting factors for determining the design ceiling of most reciprocating aircraft, which typically does not exceed 25,000 feet. Turbine engine aircraft overcome these shortcomings, permitting them to fly at much higher altitudes. The main principle of operation of a turbine engine involves the compression of large amounts of air to be mixed with fuel and burned. Bleed air from the compressor section of the engine is relatively free of contaminants. As such, it is a great source of air for cabin pressurization. However, the volume of air for engine power production is reduced. The amount of air bled off for pressurization compared to the overall amount of air compressed for combustion is relatively small but should be minimized. Modern large-cabin turbofan engine aircraft contain recirculation fans to reuse up to 50 percent of the air in the cabin, maintaining high engine output. There are different ways hot, high-pressure bleed air can be exploited. Smaller turbine aircraft, or sections of a large aircraft, may make use of a jet pump flow multiplier. 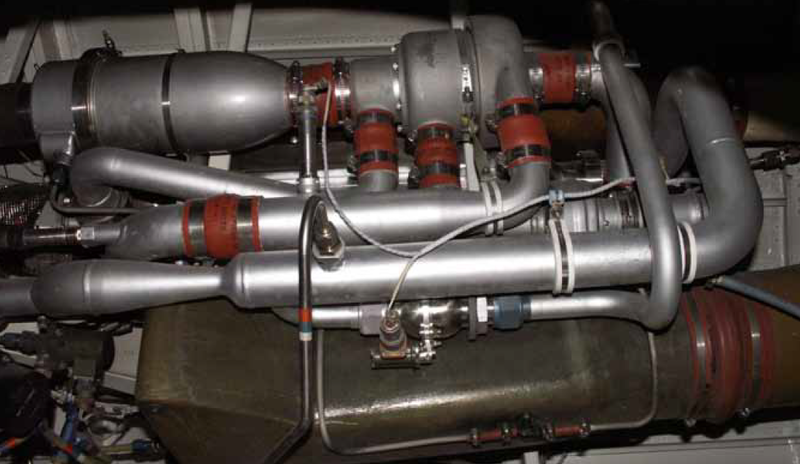 With this device, bleed air is tapped off of the turbine engine’s compressor section. It is ejected into a venturi jet pump mounted in air ducting that has one end open to the ambient air and the other end directed into the compartment to be pressurized. Due to the low pressure established in the venturi by the bleed air flow, air is drawn in from outside the aircraft. It mixes with the bleed air and is delivered to the pressure vessel to pressurize it. An advantage of this type of pressurization is the lack of moving parts. [Figure 7] A disadvantage is only a relatively small volume of space can be pressurized in this manner.